Coupon Creator 2.3 and Coupon Creator Pro 2.3 are released with a refactor to the expiration and help systems along with adding quick and bulk edits. I have improved the old expiration system and method throughout the two plugins. Now the expiration system is now contained within two classes. This enables the Coupon Creator coding to turn to one source for all the expiration and counter information throughout the various areas it is used. In the future, it will be easier to make improvements as the coding is all in one place and to add new expiration methods. For 2.3, a new method was added to expire a coupon in x days so if you visit a site, it will give you an expiration period of 1 month, 2 months, or a number of days you would like. The old help class needed to be revised in order to make improvements in the future. I changed it into a new class that is dynamic and easier to add resources and display them on specific tabs. Overall this provides one area to update this information in future releases and makes it easier to direct where to display. This was an interesting challenge to add the Coupon Creator Pro. The goal here was to be able to edit expiration and counter fields per coupon or for a group of coupons in the admin list. I found a great tutorial to begin this feature called Manage WordPress Posts Using Bulk Edit and Quick Edit. From there, I took pieces from the existing custom field class in Coupon Creator and merged them together. This made the system modular so it is easier to add fields without having to hard code each one in place. Finally the Coupon Creator is using scss to organize and manage the admin css with plans to use it in the future for all front end css. Genesis Framework and Why You Might Want To Use It or Not! 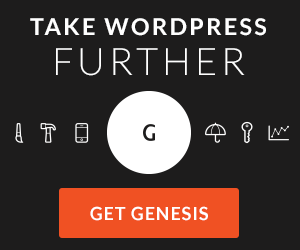 An overview of Genesis Framework for WordPress and why I use it and where I might not use it when developing websites. What Support Will You Receive From StudioPress? Genesis Office Hours – Live every Thursday at 2p EST. This presentation was given at WordPressDC on October 14th 2014.